The Best American series is the premier annual showcase for the country’s finest short fiction and nonfiction. Each volume’s series editor selects notable works from hundreds of magazines, journals, and websites. A special guest editor—a leading writer in the field—then chooses the best twenty or so pieces to publish. This unique system has made the Best American series the most respected—and most popular—of its kind. Science fiction and fantasy enjoys a long literary tradition, stretching from Mary Shelley, H.G. Wells, and Jules Verne to Ray Bradbury, Ursula K. Le Guin, and William Gibson. In The Best American Science Fiction and Fantasy award-winning editor John Joseph Adams delivers a diverse and vibrant collection of stories published in the prior year. Featuring writers with deep science fiction and fantasy backgrounds, along with those who are infusing traditional fiction with speculative elements, these stories uphold a long-standing tradition within both genres—looking at the world and asking, What if…? 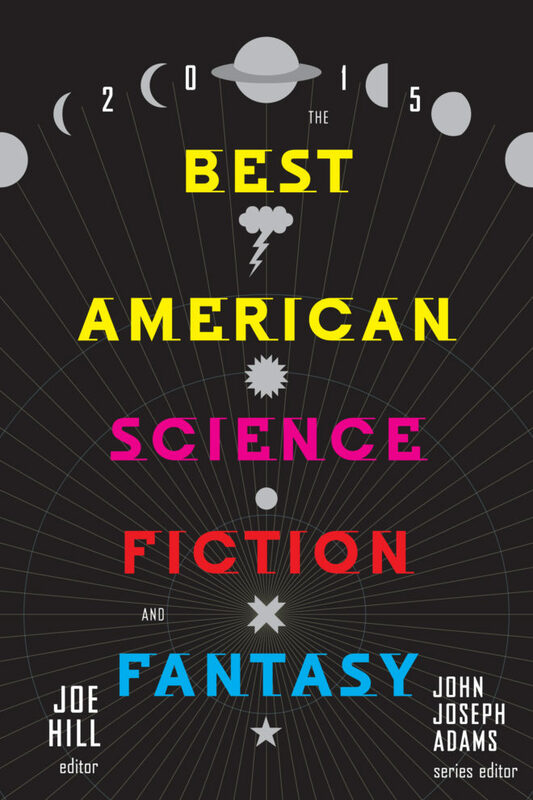 The Best American Science Fiction and Fantasy 2015 includes: Kelly Link, Neil Gaiman, Karen Russell, T.C. Boyle, Sofia Samatar, Jo Walton, Cat Rambo, Daniel H. Wilson, Seanan McGuire, Jess Row, and others. The 2015 volume collects the best material published in 2014, selected by series editor John Joseph Adams and guest editor Joe Hill.